It been another crazy week. Between working late, more show, and softball practice, I have just felt run down. Now with the weekend upon us, it was time to get back at it, especially as I sit here watching the best show on television Hannibal. 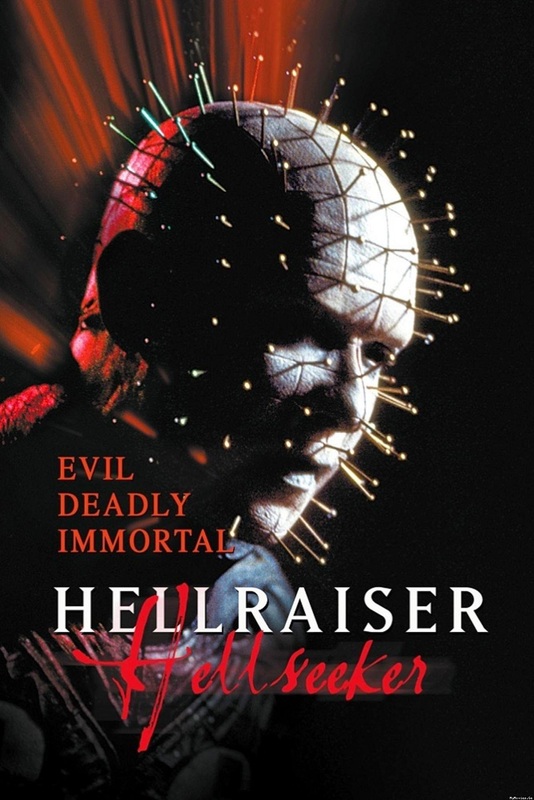 Next flick up for review, Hellraiser: Hellseeker from 2002. Plot/ A shady businessman attempts to piece together the details of the car crash that killed his wife and rendered him an amnesiac. Not to mention, leaving him in possession of a sinister puzzle box that summons more than anyone could imagine. Drug use is one of those subjects that will definitely play a role in the elections in the near future. For many, it is a way of life, for others a strange taboo. I bring it up as this next click could be a docudrama for what could go wrong, or right; depending on your perspective. 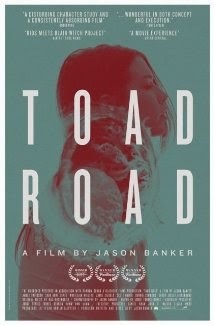 Next up, the 2012 thriller Toad Road. Plot/ A portrait of contemporary youth culture, where the lines between reality and fiction are blurred with often frightening results. Cannibalism has been all over television and the news. Maybe it is the awesome adaptation of Hannibal on television, or maybe something else, but people across the country are eating fingers and biting off noses. 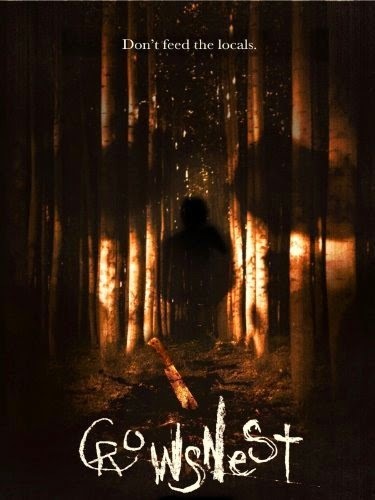 With that in mind, my next selection was chosen, 2012s Crowsnest. Plot/ In late summer of 2011, five young friends on a road trip went missing after being attacked by nomadic cannibals in a huge RV. Video was recorded by the victims & recovered by police as evidence in their still-unsolved murders. This has been a long week. After breaking a tire-rid on my car Monday, everything seemed to just back up and build into frustration. While I did watch a few movies, I just did not feel motivated to get into the computer. 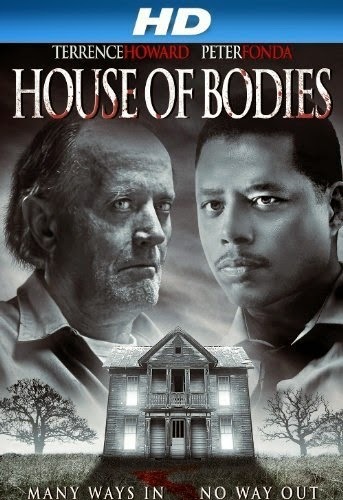 To start catching up, the next movie on my list is House of Bodies from 2013. Plot/ A detective works to solve a case involving a young deaf boy and a web site that's run out of a home that once belonged to a serial killer. There are always done movies that seem like they have some small glimmer of hope and fall flat. That was the case with this one. The car was decent, and the acting so-so, but other than that, there was not a lot to like. The storyline was predictable, the pacing slow, and the scripting feely a bit disconnected. In the end, there was not much here and it definitely was not memorable. Do not waste your time, there are much better options available. This has been a great movie weekend, and it continues to get better as I catch up on the DVR. Did anyone see Hannibal? That was awesome! To continue my work here, I have an interesting selection up next; the often overlooked Torture Chamber from 2013. Plot/ 13-year-old Jimmy Morgan is possessed by an evil too powerful to be exorcised by any religion. After escaping from a mental institution, Jimmy is back with a vengeance – and an army of children who follow his every murderous desire. What a few days. After working late, softball practice and an open house, it was nice to sit back and enjoy some relaxing movie time. Of course, it was finding the right film that makes it a more interesting evening. What did I decide if on? 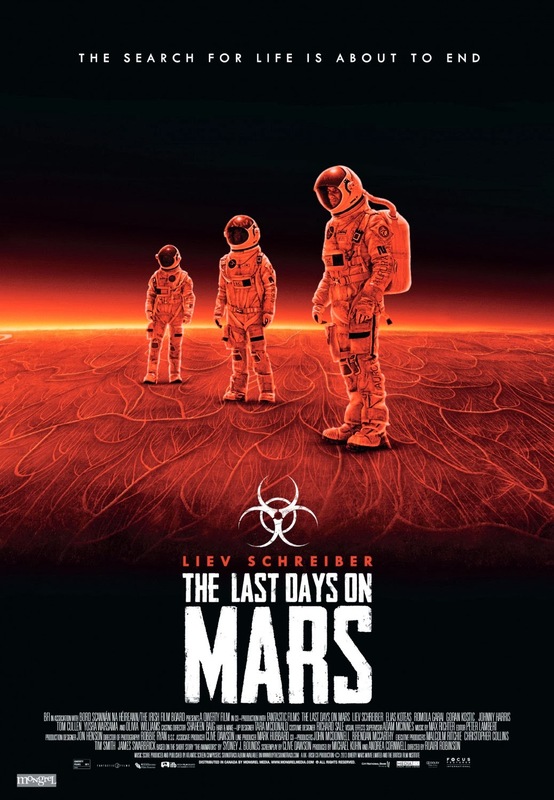 After some thought, it was the Sci-Fi / horror flick, The Last Days on Mars. Plot/ group of astronaut explorers succumb one by one to a mysterious and terrifying force while collecting specimens on Mars. After a long weekend, it was nice to get back to work. Unfortunately, my knee started to hurt some before the end of the day. Hopefully, it lasts a little longer tomorrow as I have to pull the late night. 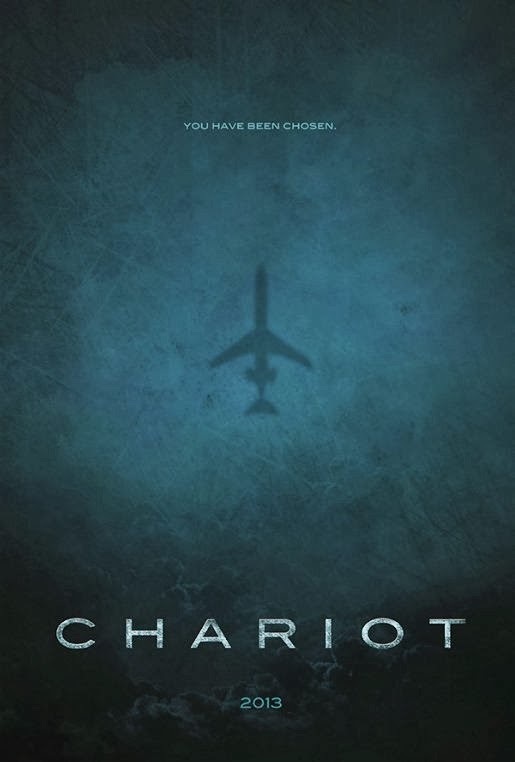 Next up on the review docket is the 2013 thriller Chariot. Plot/ Seven strangers find themselves unwitting participants in a U.S. government evacuation program gone horribly wrong. What a day. While we did not get the crazy snow they were calling for, the road crews did very little in the early hours and I took the day off. Unfortunately, the daughters had a snow day as well; not fun. 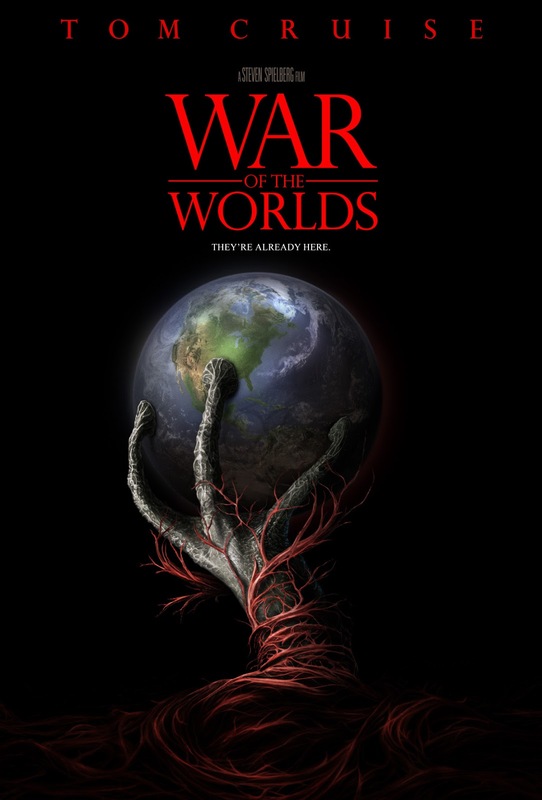 Next up on the review list, the 2005 blockbuster War of the Worlds. Plot/ As Earth is invaded by alien tripod fighting machines, one family fights for survival. What a week. The weather continued its roller coaster ride and more importantly, I got to enjoy some amazing music. On Thursday, we went to see Old Crow Medicine Show and the Avett Brothers, and last night Flogging Molly. Yes, they are all different genres, but they were all amazing. Tonight, I am getting caught up on some of the movies I watched starting with Ender's Game. 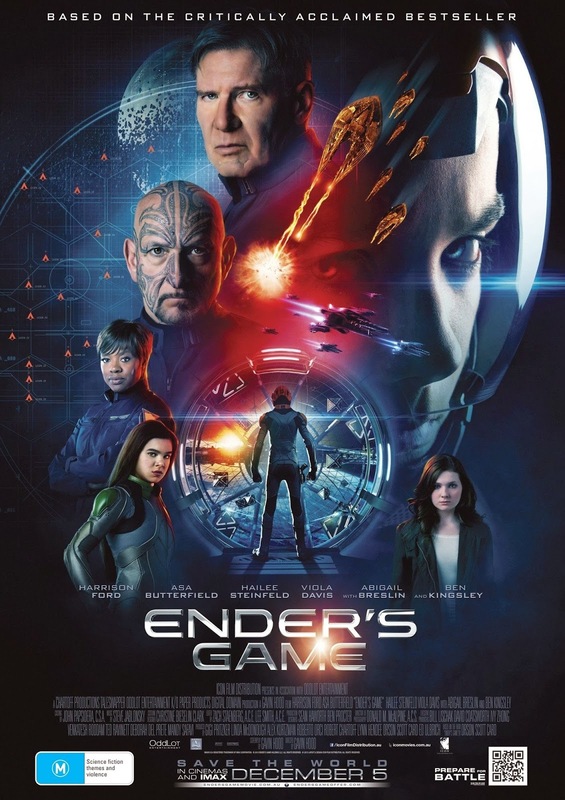 Plot/ Young Ender Wiggin is recruited by the International Military to lead the fight against the Formics, a genocidal alien race which nearly annihilated the human race in a previous invasion.